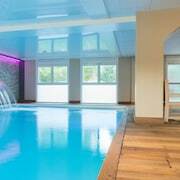 Located in the heart of Honfleur, this spa hotel is steps from Sainte Catherine Church and Eugene Boudin Museum. Deauville Beach is 10.6 mi (17 km) away. 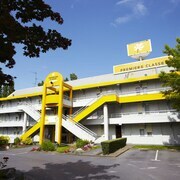 Where to find Fiquefleur-Equainville hotels near an airport? Where can I find hotels in Fiquefleur-Equainville that are near tourist attractions? Room choices are in generous supply in Fiquefleur-Equainville. Within our comprehensive accommodation pages you'll discover 23 places to stay within a 0.1-kilometre (0.06-mile) distance of Fiquefleur-Equainville's heart. Hotel options that are fairly close to the city center of Fiquefleur-Equainville include the La Fraîchette and Ailleurs sous les étoiles. The La Ferme Saint Simeon can be found 7 kilometres (4 miles) from the middle of Fiquefleur-Equainville. Or, alternatively, the Hôtel Barrière Le Royal Deauville is located 19 kilometres (12 miles) away. 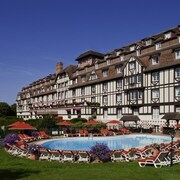 Other accommodation options in the area are the Hôtel Barrière Le Normandy Deauville and the Hôtel Barrière L'Hôtel du Golf Deauville. Evreux is 75 kilometres (46 miles) to the southeast of Fiquefleur-Equainville and is where you'll find Evreux Cathedral and Aero d'Evreux. 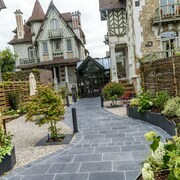 The Best Western Plus Palais Des Congres and Hôtel de Normandie are just some of the Expedia-recommended long and short-stay options in Evreux. Alternatively, you could consider staying at Giverny, 95 kilometres (59 miles) to the east of Fiquefleur-Equainville, where you can pick from the Le Jardin des plumes and L'Orée de Giverny. The Monet House Museum and Claude Monet's Garden are a couple of the most popular points of interest to experience while in Giverny. Get your sporting fix by making a journey to Deauville La Touques Racecourse, which is 18 kilometres (11 miles) to the west of Fiquefleur-Equainville. 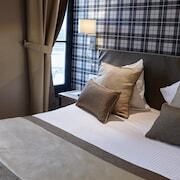 Sports fans wanting to find accommodation near to the sporting action can choose from the La Closerie Deauville or the Best Western Hostellerie du Vallon. 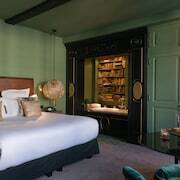 For those travelers arriving or departing through Saint-Gatien Airport, you might like to book some accommodation at Auberge de la Source, or Manoir de la Poterie & Spa, both of which are close by. 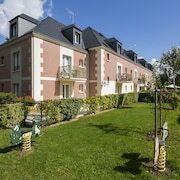 What are the most popular Fiquefleur-Equainville hotels? Are there hotels in other cities near Fiquefleur-Equainville? 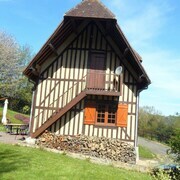 What other types of accommodations are available in Fiquefleur-Equainville? Explore Fiquefleur-Equainville with Expedia.ca’s Travel Guides to find the best flights, cars, holiday packages and more!